Creative IT, based in London, UK, is well known for providing prompt and professional Packard Bell Laptop Repair, in addition to all repairs of major brands of laptops such as HP, Compaq, Sony, Apple & IBM. Olaptop repair technicians do their best job to make certain that our valued clients receive a more dependable Packard Bell laptop repair service at the lowest rates from us. 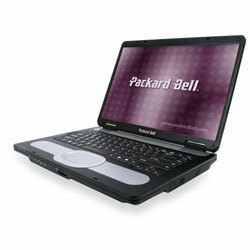 We repair Packard Bell laptops and make available parts for customers in the UK. We believe that laptops are very essential gears for most clients and a quick, efficient diagnosis and repair service with immediate access to all spare parts go a long way in saving time and getting customer appreciation. Creative IT also provides same day onsite repair services at your home or office, on a date that you and our technician agree upon. Our Packard Bell laptop Repair team can handle all the Packard Bell laptop range models in Packard EasyNote, Packard Bell iGo, Packard Bell Easy One, Packard Bell iPower, Packard Bell Easy, and Packard Bell Versa.Packard Bell Laptop Repair are available for display problems, hard disk upgrades, keyboard problems, broken power sockets, software reloads and password recovery. At Creative IT, we can also configure your Packard Bell Laptops, do data backup, detect and clear all viruses. Our engineers are technically superior and work at the component level and can either service or replace any level of hardware, according to the problem. Our Packard Bell laptop repair technicians and engineers have the ability to detect your faults quicker and have a preference to replace only the faulty laptop parts more willingly than the entire motherboard. Our highly flexible and economical laptop repair and maintenance contracts will assure you peace of mind with a guaranteed minimal down time and equipment standby options. To ensure fast and efficient Packard Bell Laptop Repair, call Creative IT now on 020 7237 6805 or mail us at info@creativeit.tv.